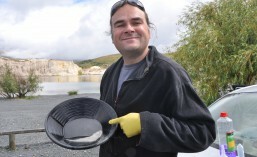 In many gold mines large quantities of gold (in some case >20 %) are lost because the gold contained in the rock is low grade or based on its mineralogy and current processing techniques not recoverable. This costs companies money and shortens the life of mines. The advances in our understanding of biogeochemical gold cycling suggest that this can avoided using low-cost biogeochemical approaches. 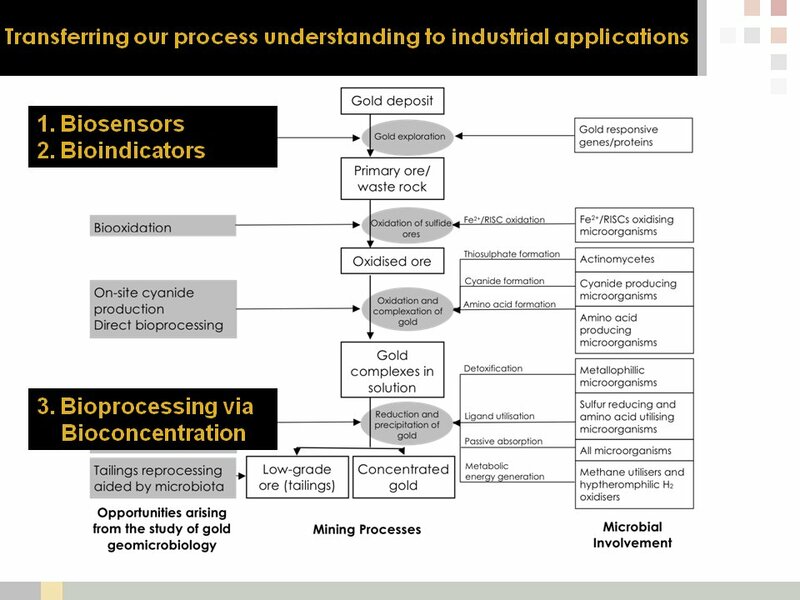 Recent research has shown that microbiota mediate the formation of secondary gold grains, at sites such as the Prophet Gold Mine in Queensland. Laboratory test have shown that recoverable gold grains are former within months. To test this we are have established a collaboration John Parsons (Prophet Gold Mine, Qld.). This research aims to provide a low cost, low tech, environmentally sustainable solution for problem ores, in particular carbonaceous ores that are pre-robbing during cyanidation.